Bloating remedies are different for everyone; it really depends on the cause, length of time and severity of the condition. To be successful with your stomach gas relief treatment, you will need to take some time and reflect on a few things. First, think back to when you first started having stomach gas. If you are experiencing gas because of poor eating habits, you should be able to reduce these amounts by making simple adjustments, like eating regular meals. This helps to eliminate having an empty stomach. 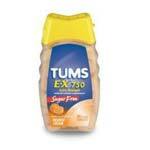 Gas can accumulate very quickly when your stomach does not have any food inside. Next, try to incorporate more tea and less coffee into your diet. Certain teas like peppermint and chamomile are great for stomach gas relief because they eliminate gas naturally. Lemon verbena leaves and ginger are also excellent natural choices. You can grate the ginger and add to boiling water. Some over-the-counter medications like Phazyme and Gas X are recommended if the bloatedness is not managed by natural remedies. Both work extremely well and very fast, just be sure to read the drug interaction guide to ensure that you are not subjected to any unwanted side effects. A totally different product called Beano is another choice for stomach gas relief. Beano actually helps prevent gas from occurring in your body by using natural enzymes on gassy foods, not only beans but all complex carbohydrate foods. This is by far one of the best pro-active remedies available. Now that you have some tips on eliminating gas and bloating, you can take immediate action to resolve your digestive issues. Remember, virtually every bout you have with gas is going to be a direct reflection of the types of foods you eat and they way you eat them. Chew your food thoroughly to avoid swallowing extra air and try to avoid skipping meals. A few simple lifestyle changes can help lead you in the right direction. If you found this article informative, please read others on foods that bloat your stomach.